Muhamed Fazlagić Fazla and Fazla group debut album from 1993. Released ONLY on cassette (no LP, no CD). 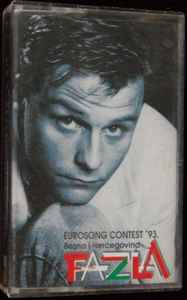 Eurovision Song Contest 1993, Millstreet. Very firts representative and the debut entry from Bosnia and Herzegovina at Eurovision Song Contest. This album includes both versions of the Eurovision entry (Bosnian and English).